One of the First Questions You Need To Ask About Data Recovery - "How Is My Data Recovered?" It's one of the most often asked and necessary questions about data recovery - "How do you get my data back?" There's really nothing magical about it, although sometimes recovering data can seem almost miraculous. Proper data recovery requires two things: knowledge about the proper procedures for data recovery and the right tools, i.e., technology. Not all data recovery companies offer the necessary knowledge and technology. 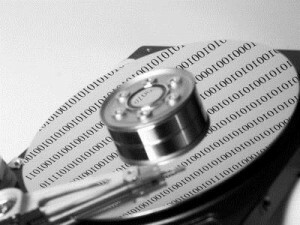 So in choosing a data recovery company, ask about both. Find out about the credentials and accreditations the people who'll be working on recovering the data. Then find out what type of facilities (more on that in a moment) and technologies they use. The first thing a data recovery firm should do is evaluate the hard drive and determine if the data is recoverable. While doing this, they should also determine what recovery process will be necessary. Generally speaking there are two primary forms of failure in a hard drive: logical and physical. Logical failures are usually the result of file-system corruption. Physical failures can be either mechanical or electronic. The determination of the type of failure will determine the next steps to be taken. If the drive failure is a logical issue, an evaluation of the file system will be performed to try and repair the corruption. If this doesn't work, then a very low-level scan will be performed, searching all sectors of the hard drive for files. If the files are located, they can then be copied to a CD-ROM, DVD-ROM or another hard drive. Be aware that logical recoveries can take up an enormous amount of time, especially if the drive is on the verge of physical failure. If the problem is a physical failure, recovery can be more difficult. Again, there are two categories of physical failure, mechanical and electronic. Physical failure usually necessitates having matching parts to get the drive functioning again. So it's important to find out if the data recovery firm has access to parts that match your hard drive. If the firm you are working with has bona fide expertise in data recovery, they should also have a "Class100 Clean Room." A Class100 Clean Room is designed to maintain exceptional air purity, containing less than 100 airborne particles larger than 0.5 microns in each cubic foot of air. Such an environment is vital for protecting the sensitive internal components of hard drives. If it is going to be necessary to perform an invasive procedure on a hard drive, a Class100 clean room or better is needed. A data recovery firm should be prepared to answer your questions about how they will recover your data. They should have no problem with evaluating the problem and discussing the procedure for recovery. Ask about the availability of a "Clean Room." Ask about the type of failure they've diagnosed. Doing so can help you determine how legitimate a data recovery company they are. For instance, if they don't have a Clean Room, it may mean that can't properly deal with physical failures in the hard drive. Get answers that satisfy you that the company has the necessary knowledge and tools to do the job right. If they don't, you need to find another data recovery company fast.